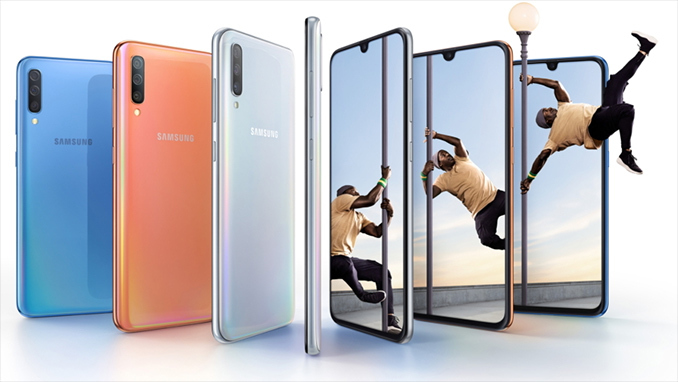 Starting things off with the screen, the Samsung Galaxy A70 is equipped with a 6.7-inch Infinity-U screen, which offers a 2400x1080 resolution in a 20:9 aspect ratio. The extra tall aspect ratio still makes the phone's display big by virtually any standard, but less so than you might otherwise assume from its official 6.7-inch diagonal length. Meanwhile, under the Infinity-U display is an in-display fingerprint scanner, as well as a raindrop notch cut into the display the selfie camera. Samsung calls design of the phone ‘3D Glasstic’ which, as far as we can tell, means a metallic skeleton, glass on the front, and gradient plastic on the back. The smallest "tablets" I would call a tablet would be the Nexus 7" with a 16x10 aspect ratio. This is a 6.7" phone but the 20x9 aspect ratio makes it much less tall in landscape. 3.71 inches tall, 5.94 inches wide Nexus 7. 2.75 inches tall, 6.11 inches wide Samsung Galaxy A70.